These Seaview instrument pods are constructed with a high quality marine grade aluminum base and a UV resistant white ABS plastic housing. Full adjustment both horizontally, vertically and tilt is easily executed with the polished stainless steel quick release handles, easily accessible on the Seaview Pod display housing. This feature is functional and efficient and provides a clean, professional look in your helm station. The units’ special gasket ensures a water tight and secure installation. A special Gore-Tex vent port facilitates ventilation, removing the chance for moisture build up. The Seaview Pods are available pre-cut, un-cut or customizable to your specific application. Boaters benefit from being able to mount navigation electronics in exposed locations, yet maintaining the watertight integrity of their electronics, no more exposed sockets or cables to get damaged by moisture or get snagged by lines. 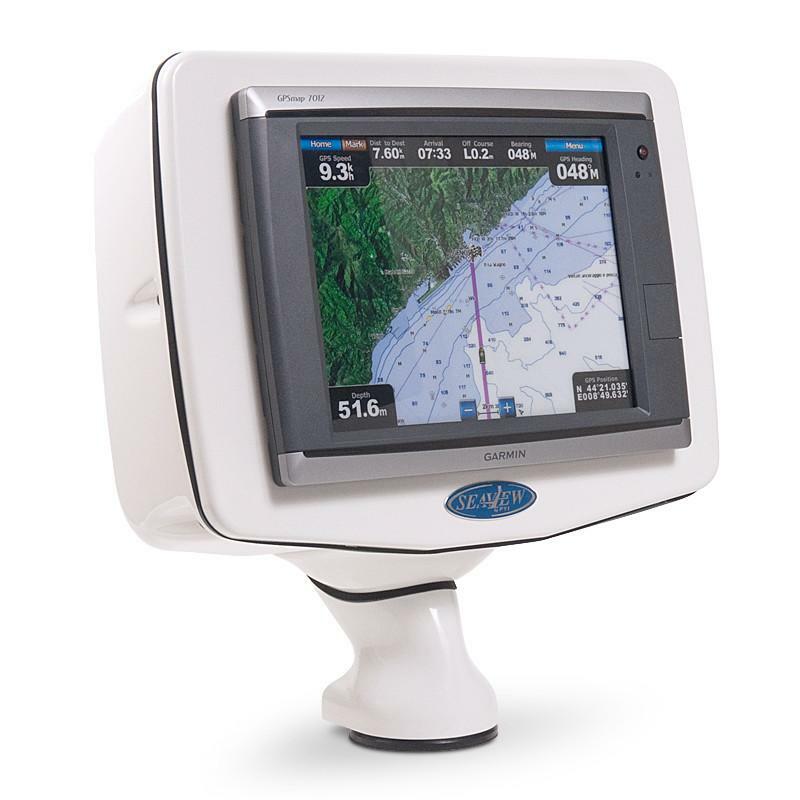 Seaview Power Pods are the ideal solution to mount your chart plotters, radar displays and standard..